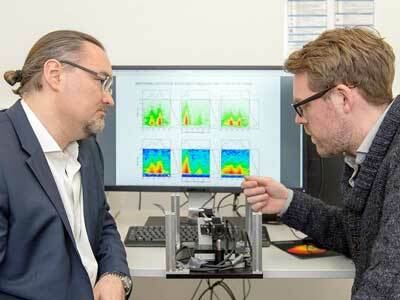 (Nanowerk News) While spectroscopic measurements are normally averaged over myriad molecules, a new method developed by researchers at the Technical University of Munich (TUM) provides precise information about the interaction of individual molecules with their environment (PNAS, "Single-molecule excitation–emission spectroscopy"). This will accelerate the identification of efficient molecules for future photovoltaic technologies, for example. An international team led by the TUM chemist Professor Jürgen Hauer has now succeeded in determining the spectral properties of individual molecules. The researchers acquired the absorption and emission spectra of the investigated molecules over a broad spectral range in a single measurement to accurately determine how the molecules interact with their environment, capturing and releasing energy.